The US Embargo of Cuba was put into effect on July 8, 1963. The US Department of Treasury Office of Foreign Assets Control (OFAC) was given the responsibility to enforce the sanctions imposed by the embargo. It is important to understand the intent of the embargo, and more specifically the Trading With The Enemy Act (TWEA), that prohibits US citizens from purchasing goods and services originating in Cuba. The TWEA was originally enacted in 1917 as the US entered into WWI. It was intended to give the President authority to prohibit, limit, or regulate trade with hostile countries in time of war. It was amended in 1933 to give the President broad authority to exercise the powers of the Act during periods of national emergencies. Violations could result in a fine not more than $10,000, or imprisonment for not more than 10 years, or both. 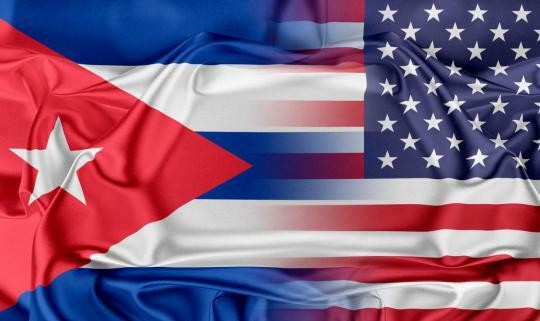 The US Supreme Court has further concurred that certain sections of the TWEA gives the President broad authority to impose comprehensive embargoes on foreign countries, such as Cuba, both during peace time emergencies and in time of war. In 1977, US Congress amended the TWEA, which now requires an ANNUAL determination by the President that continued exercise of TWEA authority with respect to Cuba is in the national interest. Since 1977, EVERY President has issued annual determinations that extended the state of emergency with respect to Cuba. How does this affect buying or selling Cuban Modern (post 7-8-63) coins, currency, tokens, medals, etc? In simple terms, items from Cuba may be sold ONLY if they are informational, pre-embargo, or licensed. Coins, currency, bonds, medals, tokens, casino chips, and other exonumia ARE NOT informational! Not withstanding the US Law that prohibits the sale of “post Castro” Cuban coins, currency, tokens, medals, etc., it appears that enforcement focuses on the importing or exporting of these items, not the purchase or sale of these items within the United States. EBAY, the giant internet auction house, abruptly cancelled auctions for Cuban coins and stamps on its website on April 18, 2000. After fielding a significant number of complaints from users who said that EBAY was meddling in matters that did not involve embargoed items, EBAY published their policy on items from Cuba. It read “Generally, non-informational Cuban items may only be sold if the item was removed from Cuba before July 8, 1963…….. EBAY further states “currency issued from Cuba after the embargo date may not be listed”. Yet, today, these items are listed on EBAY. In addition, these items are found in every numismatic periodical want ads and advertisements published in the US. If these items are illegal, WHY are they still being sold in the US? The author has attempted to get legal clarification of this issue from OFAC, as well as from an elected US Congressman, without success. Emails are not acknowledged and get no response. The issue of importing or exporting these items is quite defined. The author has personal experience with US Customs and the confiscation of Cuban “modern” coins that had been shipped from Spain. The coins were confiscated and stored in a bonded warehouse for over one year. After appealing the confiscation, the coins were released in damaged condition. The author was required to pay warehouse charges, plus a US Treasury fine. Another Cuban Numismatic Association member relays the incident where his coins were confiscated by US Customs when they arrived in the US from Spain. However, he was able to convince the US Customs agent to return the coins to Spain without penalty. It appears that enforcement, as it pertains to coins, currency, medals, tokens, etc., is somewhat flexible, perhaps brought about from other legal issues. US Customs may and will confiscate exported or imported Cuban “modern” items. Prosecution and/or fines may result depending on the situation. A general lack of enforcement seems to have evolved regarding the purchase or sale of Cuban “modern” items within the US borders. OFAC will be contacted again for their clarification of this important issue. In the meantime, it is important to understand that the Cuban Embargo is an important consideration when we decide where and from whom we intend to buy or sell these items. Note: The recent “relaxation “ of Americans traveling to Cuba has no change on the embargo, which is still in effect.